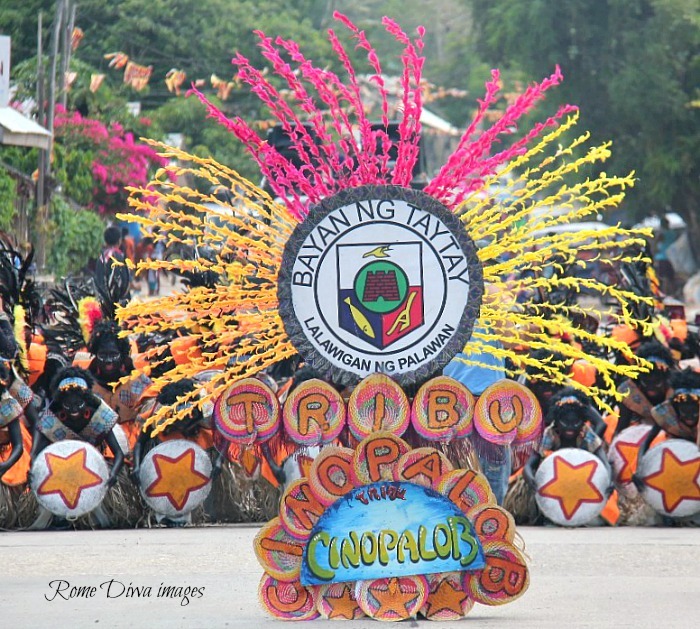 ... they were in El Nido sometime in February but was held-up one day late of their timetable when all island tours were cancelled because of tropical storm Kajiki (Typhoon Basyang) hitting the municipality in the middle of the summer season. 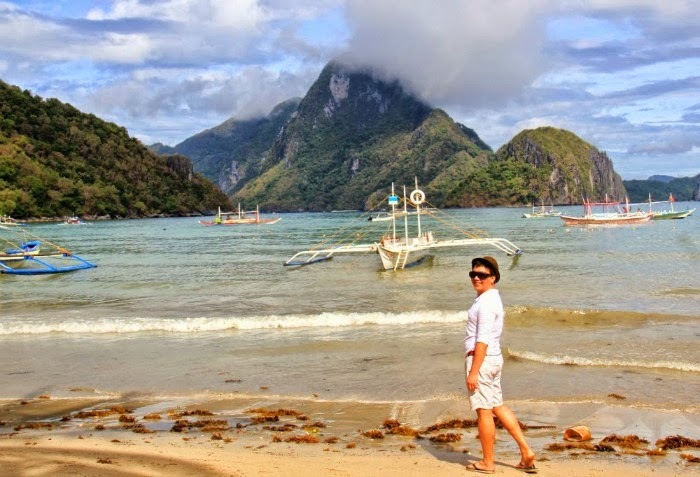 With nothing to do on their first day, they decided to trek to Nagkalit-kalit Falls and visited an alternative inland beach resort -the beautiful Las Cabanas Beach Resort located just about 3 km south of El Nido town. Not the memorable summer experience they’ve planned to be, but they had real fun. Dinner was all good at Artcafe. It was raining hard outside the café and there was no sign of weather getting better on the next day. They decided to just enjoy the night and decided to go with the flow the following day, downed a bottle of Australian red wine, enjoyed the food, and sang along with the local live band playing "It’s My Life". Deep-inside, keeping their fingers crossed that the next day's weather would be fair to do the ultimate El Nido adventure. Sweet! The following day was picture perfect! But Cadlao (which means “laugh” in Coyunon dialect) Island, capped with clouds seemed shy to smile at them. The shore was full of drifted seaweeds but the sun was shinning brightly. "What a beautiful day!" says his friend, Trixie as Rome bask on a rattan sun lounger looking out over the brilliant turquoise waters of the Bacuit Bay with a glass of iced-cold coke by his side, waiting for their tour guide to arrive. "Ahhh, it was indeed a paradise", he said, smiling. 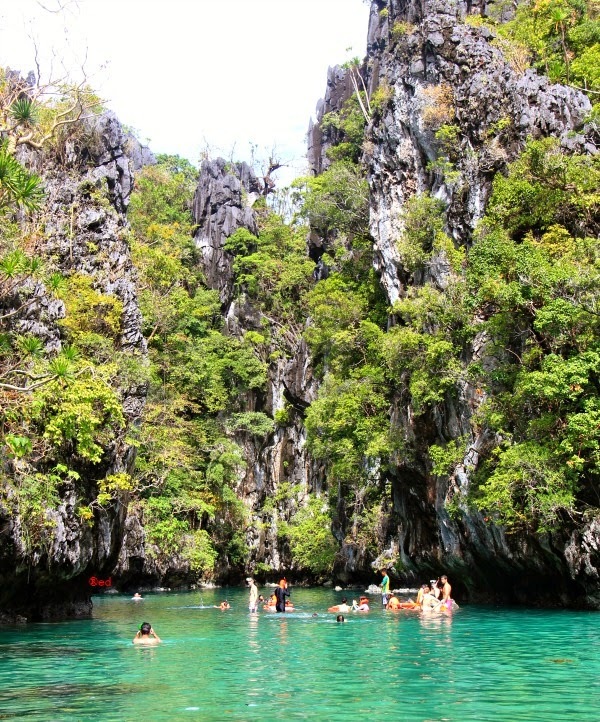 Today is an island-hopping-kind-of-day or shall I say lagoon hopping. 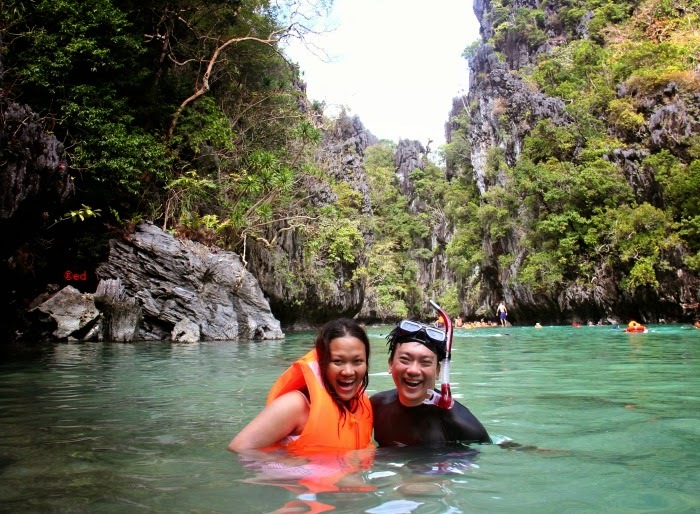 The duo availed TOUR A, the most famous and the most availed tour package in El Nido A.K.A. "The Lagoon Tour" as it comprised of expedition to 2 lagoons of Miniloc Island - Small Lagoon and Big Lagoon. Secret Lagoon, Shimizu Island, and 7 Commandos Beach are also part of the whole day tour. Costing them Php 1200 each, it includes boat transportation, lunch, life jacket and snorkeling equipments, and services of a tour guide. 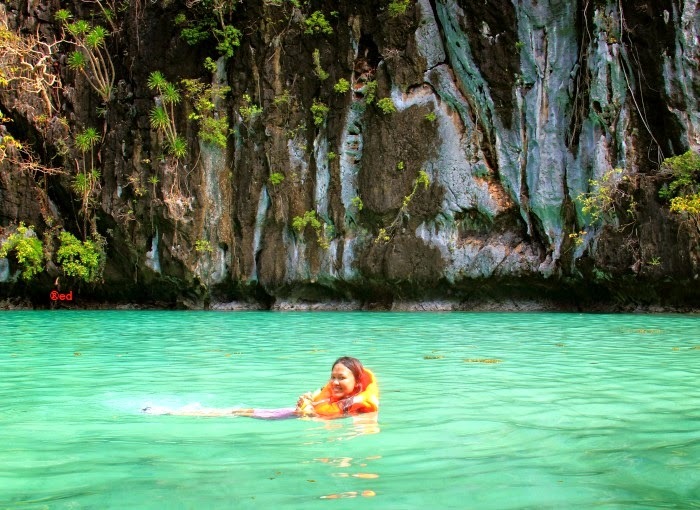 They swam through the entrance hole and found themselves floating in a lagoon surrounded by orchid-lined limestone walls that just up straight from the water. Over the years, small lagoon has become a grave of dead coral reefs. Hiding from its crystal clear and tranquil turquoise-green waters are white and sharp dead corals. Sad to say, despite of government and non-government’s efforts to protect it, the lagoon is slowly being destroyed. “This is not what it looks like 10 years ago”, Rome explained to Trixie. “Small lagoon’s entrance was once a coral reef paradise. 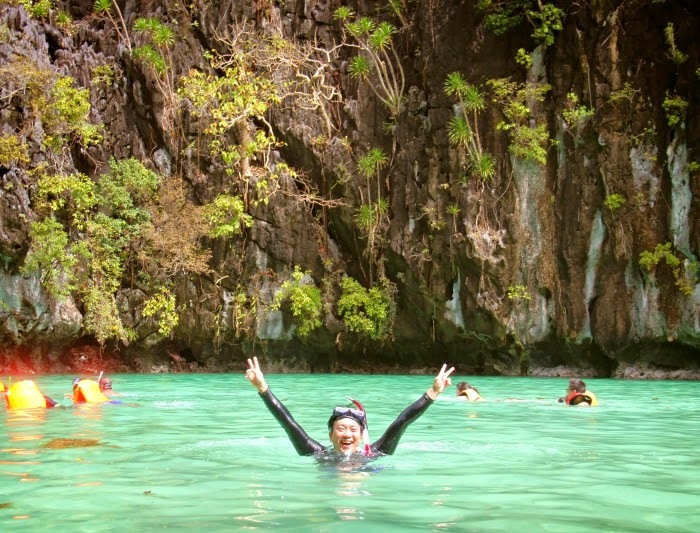 It has plenty of live, big, and colorful corals the last time I went here”. 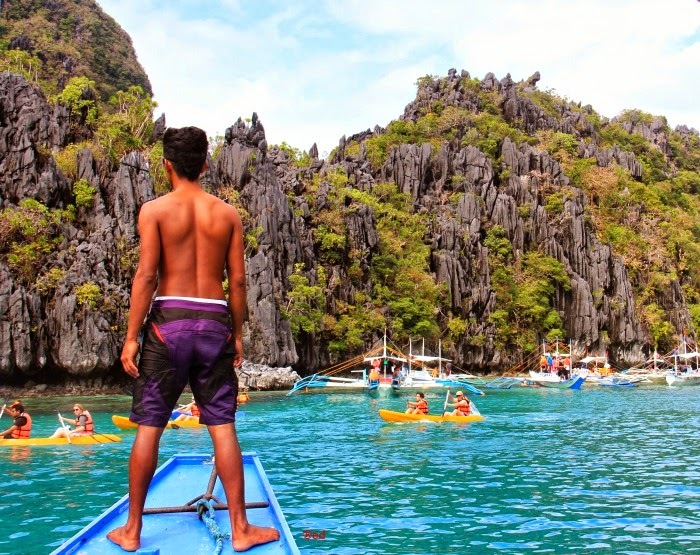 WARNING: Better hurry up if you want to see the best of El Nido. 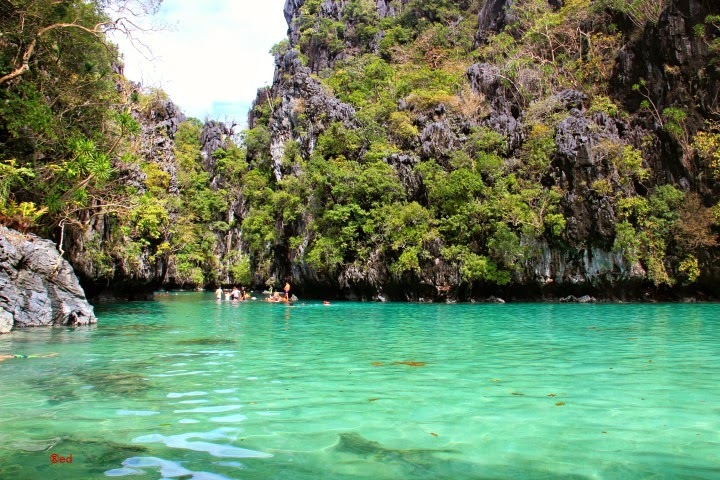 If ignorance, greed, and destruction of the people around it won't be seriously addressed, El Nido's days are numbered.